Cisco expanded its family of top-line routers with the Carrier Routing System CRS-1 that blends smart power consumption and longevity with advanced network intelligence and premium performance. Power your next-gen network with a leading router specializing in video and interactive media transport. It’s the right next step for growing your network’s capabilities and enhancing the offering you can deliver to clients. 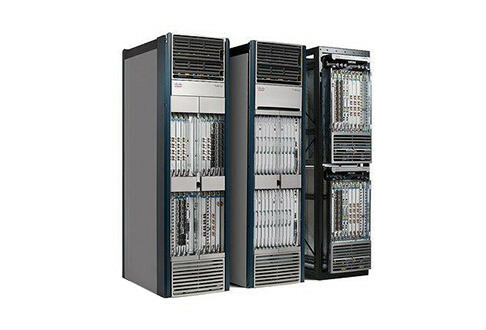 Worldwide Supply offers a full line of new and used Cisco CRS-1 systems that can help you scale at an affordable rate — plus receive extended savings thanks to the platform’s focus on reduced energy use, improved cooling and significant RU savings. Leading chipset engineering boosts bandwidth and allows multiple features to work in tandem across the platform. Cisco IOS XR software support that allows you to be always-on and secure with a memory-protected, microkernel-based architecture. New models are backward compatible with Cisco equipment including router processors and line cards in the CRS family. Redundant, carrier-class configuration that can support services up to 40 Gbps per slot through 400 Gbps per slot with each Cisco CRS-1 series router. Advanced support for MPLS routing, IPoDWDM, network virtualization with SDRs, fabric QoS, CGv6 and fabric multicast replication. Plus you’ll save up to 80% off original OEM pricing when you work with Worldwide Supply on used or refurbished Cisco CRS-1 options.